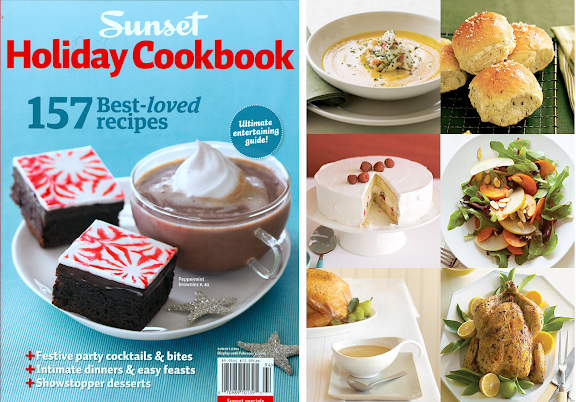 For this giveaway, Sunset Magazine would like to offer 3 readers one copy of the Holiday Cookbook. Since time is of the essence, this giveaway will only last for one day. Good luck! 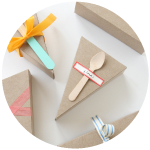 - You have 1 day to enter this giveaway (closes Tuesday, December 15th at midnight). - The winners will be chosen via random.org and announced on Wednesday, December 16th in this post. 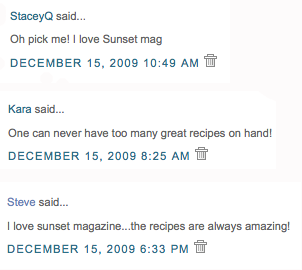 I love Sunset and cookbooks - what a great giveaway. that looks great! i feel the same way about those "special edition" magazines-- they'd better be good for me to spend $10! I just watched Julie and Julia so I would love to buy Julia Child's, Art of French Cooking. Yes, we have to choose our food mags carefully! Oh, beautiful-- if I win I'll have to decide whether to keep or gift.... Better go buy one so that if I win I know I'll gift it! Just what I need to get me in the holiday spirit. I love cookbooks and magazines and this one sounds great! I'm a new subscriber to Sunset, but a longtime lover of the kitchen. Thank you for having this fun givewaway. I love Sunset magazine in general. I would love to win the holiday special. Can one ever have enough cookbooks? Happy holidays indeed! This is wonderful - I have some of their other seasonal cookbook/magazines and they're always a hit. I really need some new holiday recipes! I just recently subscribed to Sunset even though I am on the East coast and the deep south, for that matter. The recipes were a huge draw. Keeping my fingers crossed. Thanks! I collect cookbooks and use them. Raising five boys requires lots of cooking! What a treat! I love Sunset. What a wonderful opportunity... I'm a huge cookbook fan! Please pick me this time! I am in crisis mode over here trying to come up with neighbor gifts. I could *really* use this. This would be so fun and yummy! Thank you. I love to cook, and would love new recipes! I just made Sunset's ginger cookies with lemon frosting yesterday. I'd love all of their holiday recipes in one place! I've been collecting Sunset magazine vintage covers for a while ... love this magazine. Hope I win! One can never have too many great recipes on hand! I would love to win this, those brownies on the front look soo good! love cookbooks .... now just need endless days and a speedy metabolism to bake everything! Isn't Sunset where you got that fantastic jalapeno cream spaghetti squash? That has been a huge hit in my family- thanks for sharing! I'd love a copy of this cookbook! I love magazines and cookbooks. How fun! I love Sunset, they have great recipes. i would sure love having this and making tasty treats!! I have a cookbook collecting obsession! Love Sunset. If you haven't tried their pork verde recipe, add it to the to do list. So good! Your giveaways are the best! I am so ready to add some new recipes over the holidays. I would love a new cookbook! I'm such a fan of Sunset! Their landscaping books were my Bibles when redesigning and planting my yard. Yes, please! I am going through all our cookbooks and cooking new meals for my husband. I would LOVE another cookbook! Wow, it looks gorgeous. Would love to add the Sunset cookbook to my collection! It seems I'm always hosting and would love some new recipes and ideas! I love cookbooks. What a fantastic giveaway! Thank you and Happy Holidays! I'm having a hard time planning Christmas day menu this year - I'm usually ready by Thanksgiving - perhaps this would give me the inspiration I need. Oh sweet... I am a big fan of Sunset Magazine and I LOVE to cook!!! I totally collect cookbooks. Is that bad? I do use them occasionally, but mostly I collect them. :) I'd love to win! Love me a good cookbook! Oooh! I love sunset so! I saw this the other day at the store and thought it looked fun! I love GOOD cookbooks. I rarely buy them unless I have a good recommendation because 'why buy something I won't use'? So I would LOVE to add this to my VERY small, but fantastic, collection of cookbooks. Thank you! 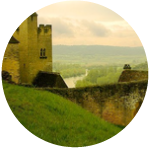 The images you posted are lovely! I'd be excited to try some of the recipes for the holidays. Awesome give-a-away! I would love to add this book to my collection! I LOVE Sunset Magazine and baking. This would be a great addition to my kitchen. I never win anything. Please, pick me! Sunset has the best recipes! ooh, la, la! I would LOVE to win this! I need to get excited about cooking again and this would really help. i love sunset AND i LOVE cooking! 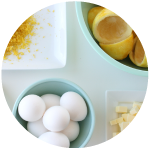 I love sunset recipes- this would be a handy-helper! I love Sunset magazine! Their recipes are the best! Ooh, I love this give away. I snatched a Sunset Magazne from my Dr.s office (she noticed I was interested in a recipe in it) some years ago so I know this would be a great snag also! I am hosting the family Christmas party this year, so I would love some new ideas. Thanks!! I would love some new holiday cooking ideas! i can't get enough of sunset magazine. what a wonderful christmas present this would be! how lovely - count me in! Thanks Steph! What a great idea! I've always loved Sunset and have read it for years due to living in Montana, and now, Colorado. I'm also a big fan of Christmas baking and have a vast collection of cookbooks. My husband was just teasing me about my November 1993 issue of Bon Appetit kept these many years! sounds like a wonderful magazine! Ooh, I love Sunset. Hope it's me! Yes!!! What a great time to receive one of these huh?! Hello, nice cookbook! Come to mama! oh, heaven help my waistline! Some new meal ideas would be nice. Oh, my! This is a special giveaway. Thank you for showing me so many beautiful things each day. Merry Christmas! help me find something new to make! I only recently discovered Sunset magazine and I love their recipes! could really put this cookbook to good use...hope i win! Looks like a book that will inspire me to get into the holiday cooking spirit! I'm always on the lookout for new cookbooks and this one looks awesome! Such pretty food. I want to try it all! Cookbooks are my addiction. Truly. new ideas are always welcome and needed in my kitchen! I don't know what type of rolls those are in the photo, but I'd really like to find out! Oh. Looks like a good one. I've been getting Sunset Magazine for about a year now but haven't gotten the cookbook. Fingers crossed! I love magazines like this one--definitely something to collect and keep on hand for the holidays. Thanks for the festive (and tasty) giveaway! I love Sunset Magazine and cookbooks. I grew-up and live in the Midwest but my mother is from California so I have always enjoyed reading the magazine when I was visiting relatives. This book looks like a great resource of ideas for the season. Love holiday cooking. This looks inspiring and fun. I would love to know how to make the brownies on the cover...what a great giveaway! Looks so fabulous! I want it, I want it! Sunset is a great magazine, with an innovative spirit - I can only imagine the delicious treats included in this cookbook! i don't own any holiday cookbooks, so this would be a welcome addition!! I would love a copy! It would be such a useful addition to my cookbook collection. The holidays are the best time to cook! My mouth is watering just at the thought of the yummy recipes! This would give some new inspiration to my kitchen this season! Feeling lucky! half the fun of holidays is the food! i'd love to try some of these. I love cookbooks! New recipes are always fun. I love cookbooks. This one looks wonderful. I would love this. Love baking and cooking! Love Sunset, love cookbooks - this one looks fabulous. I'd love to win one of these! Thanks! What a great resource! I know the whole family could enjoy this one - thanks for the giveaway! Oooh, fun. I'm always on the look out for more holiday goodies. i love sunset magazine so much. i was just considering subscribing. anyway, yes please! i'd love to win this one! Wow! I love sunset, I'm sure this cookbook is amazing!! Nice, I need some new recipes to try out. oh this makes me hungry, yum yum! Looks great. I wonder if my local Barnes and Noble has it. What a fun splurge! I could always use some fresh recipes. I love to cook and bake. This is awesome! I'd make room in my small space for this one! i miss sunset from our california-living days! I'm trying to build my recipe collection so this would be perfect to jump start me! Love Sunset...would love the prize! I am a huge fan of Sunset and would LOVE this cookbook! Now that's a book I would love to have! I just love a good cookbook! I love Sunset magazine so I know I would love the cookbook. I refuse to recycle the old issues we have because I keep thinking there will be something in there I want to cook later! I adore cookbooks! No, really you have no idea. Cookbook and a Magazine - I love twophers! I love to cook, pick me! Merry Christmas ... love the Sunset magazine! I am in need of new recipes! This would be great. I love cookbooks ans Sunset magazine! ooooh lovely! hope i win! This would be a lovely present to myself. Fingers crossed I get picked! I'd love this cookbook! I love Sunset magazine and I am sure I would love the cookbook too! Thanks. looks like some delicious recipes! I've eyed this in the store several times- if I don't win one, I'll for sure go grab a copy of my very own!! always love a new cookbook. i collect cookbooks. this would be perfect! Wonderful! I love holiday recipes! Oh a holiday cookbook that is a magazine too, seriously a Christmas wish come true!!! I read cookbooks like novels..
Oh I've never won anything and would LOVE to win this!! this would be nice to add to my collection! i need some new ideas for holiday food! You can never have too many holiday cookbooks! Ooohh, I love Sunset. And cookbooks. Sunset is my favorite magazine! I especially love their recipes and always look forward to trying new recipes for the holidays. I love cookbooks and this one look great! thanks for the reccomendation! I love sunset magazine...the recipes are always amazing! one of my favorite magazines! 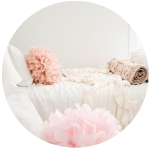 love your blog, photos and content are inspiring! Sunset is my favorite, favorite magazine! This is the perfect inspiration I need for Christmas dinner! Thank you! Oh my gosh ... love baking over the holidays!! Some of my favorite recipes are from Sunset. I would love their cookbook. I have been eying this cookbook for a month at the grocery store! I would love a copy! those peppermint topped brownies look fabulous, fun! i love the recipes in sunset! perfect to have them all in a cookbook. Yay Sunset - fingers crossed!